The realization of all the organization’s accomplishments was only possible because of the strenuous efforts of its staff. Despite the financial crisis, which the organization has been facing, its staff has been dedicated and committed to the organization and the work that they have been doing. Moreover, the organization has been optimistic about the recognition of its vision of a free Palestinian society enjoying health rights that are equitable, well-developed and comprehensive and the realization of its mission, which is based on the provision of health services to all segments of the Palestinian population, particularly the poor and the marginalized; building development models, and lobbying and advocating in support of favorable policies and legislations. The organization still put an emphasis on adopting the principles of total quality in all its programs and activities. Due to the unique case of Jerusalem, HWC have been organizing dedicative programs targeting all segments of the population in order to meet their needs. Moreover, the programs aim at promoting the Palestinian national identity in times when the city of Jerusalem has been suffering from different forms of oppression and its history have been obliterated by the Israeli occupation . Currently, the organization is still enduring several challenges and difficulties that have been evolving at the national level and within the internal structural organization of HWC. The current political and economical situation has been affecting the organization amd has escalated causing a drastic decline in external funding due to the global financial crisis. Several countries around the world have been negatively affected by the financial crisis; Spain being among the countries and one of our main funders. These changes that occured due to the financial crisis have been taken into consideration and used as a learning lesson for HWC. The organization has realized the importance of building funding relationships with diverse national and international parties in addition to focusing on self-financing sources. The organization has also taken several decisions; it has changed the organizational structure of the public relation department, recruited new staff for the department and enhanced the capacity of its current staff. Through the department, the organization has targeted the national private sector and the local community for supporting the organization. Moreover, it has strengthened its relationships with the embassies and representative offices in Palestine. These changes have made a positive impact on the organization and were proven to be tangible from the end of 2012 until the beginning of 2013. Moreover, the Primary Healthcare Department, Community Development Department and Programs, and the Financial and Administrative Department have worked side by side in a continuum chain as they have depended on and complemented each other to face the financial crisis. The Primary Healthcare Department has improved the way by which it has been monitoring health outcomes and indicators; it has been publishing indicatives for the percentage of each center’s patient coverage in relation to the total number of patients in the governorate. The percentage of HWC’s health centers and clinics’ patient coverage in relation to the total number of patients in the areas of intervention was 23%. The Primary Healthcare Department has been supervising 17 health centers and clinics, In addition to the mobile clinics, which have been reaching out to 29 locations in marginalized and isolated communities of area C. It has also it has been administrating health programs including the Women’s Health Program, the Well Baby Program, the Diabetes Care Program and the School Health Program in East Jerusalem. The department has continued to provide quality healthcare services through its centers, clinics and programs. Nonetheless, it has been experiencing several challenges and difficulties; the Palestinian Ministry of Health has opened several health centers and clinic in locations at close proximity from some of HWC’s health centers and clinics. This has negatively impacted HWC’s health clinics and centers as the number of patients visiting the HWC’s centers and clinics has decreased. Consequently, HWC’s health centers and clinics have decreased their daily working hours. The most challenging goal for HWC has been the opening of Dr. Ahmad Al-Maslamani Hospital in Beit Sahour due to insufficient funds and thus is why the hospital has not operated yet. In order to compensate for this discrepancy, it has increased its night working hours. Moreover, HWC has been preparing to establish a hospital in Tubas, meanwhile, the Palestinian Ministry of Health has been planning on building a hospital with a maternity unit, which means there is a low chance for the maternity hospital of HWC in Tubas to succeed. This indicates that the coordination and the complementary of work between the different Palestinian NGOs and the Palestinian Ministry of Health have not been effective. The coordination and the complementary efforts need to be re-evaluated and organized in a way that guarantees the good for all citizens. The same is held true about the delivery hospital at Tubas as the Palestinian Ministry of Health is also planning on opening a delivery hospital. This indicates that the communication and organization between the different NGOs and official organization is not effective. This should be changed to meet the needs of the citizens. Dunya Women Cancer Center for diagnosing breast and gynecological cancer has been promising and improving at accelerated pace. Palestinian expert women staff has been providing quality diagnostic services. The center is a unique national entity that has been under the consideration of several organizations. The achievements of the center have been doubled in 2012 .Thus HWC has achieved its goal of building development model through Dunya Center that serves critical health cause, which affects the lives of women. The organization operates on a right based approach and believes on the ideology of justice and equality for all without any form of discrimination including gender based discrimination. In order to ensure that, HWC has organized a team, which includes part of its staff and expertise on gender issues; the team has audited the organization’s policies and programs to ensure that it is gender sensitive. Based on the audition, the organization will integrate the appropriate changes in order to equitably meet the needs of the targeted groups and the organization’s staff. The organization considers health as a significant part of development. The health status is influenced by political, social, cultural and economical factors. The occupation remains to be the main obstacle against the full realization of high quality healthcare and sustainable development. 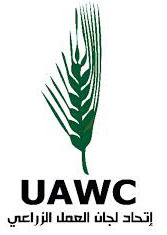 The Community Development Department and Programs of HWC has been based on the liberated development, which promotes the resistance and steadfastness of the Palestinians against the Israeli policies and practices. Building development models for the youth, elderly, people with disabilities, and children, whether through the establishment of programs or specialized centers, has been a point of intersection between the Community Development Department and Programs and the Primary Healthcare Department. The organization’s administrative and financial policies are based on the principles of good governance and it encompasses integrity, transparency, and accountability as its core values. This is something which the organization is proud of. At the same time, the organization is entitled to the civil society organizations code of conduct. In 2012, the board of directors of HWC has been re-elected. The board of directors meets periodically in order to supervise, audit and for ensure efficient accountability. This is in addition to the establishment of different polices. Thus it has been fulfilling the ultimate role of the NGO board of directors. The organization has been implementing emergency response operation plan because of the financial crisis it has been facing. The executive board and the board of directors have utilized all the methods for the careful management of the financial crisis and eventually overcoming it. Some of those methods have been successful; while others have not been successful. This has been an incentive for ensuring the continuity of the organization and its staff means of living. We are still optimistic that HWC will remain a well established and influential national organization; we believe that the organization has previously experienced an era of prosperity and it will have successful future. Health Work Committees will remain outstanding with its mission, staff, values, hope and future. Last but not least, I would like to take the opportunity to express my appreciation and thanks for all the organization’s staff for their efforts. Also I would like to extend my gratitude to our friends and partners who have been supporting the organization.